It has been shown that employees thrive in an environment where they’re free to communicate ideas, share information and give and receive feedback in a constructive way. Working together allows employees to see relationships between departments and understand how they fit into the overall project delivery objectives. It also gives project participants the opportunity to grow, learn and develop new skills. Having the ability for cloud collaboration in the workplace gives organizations the opportunity to try new ideas for collaboration and measure results in real-time by using office collaboration system and methods. By working together through effective employee collaborative management, motivation and productivity are proven to be key drivers for distributed teams working on any given project. 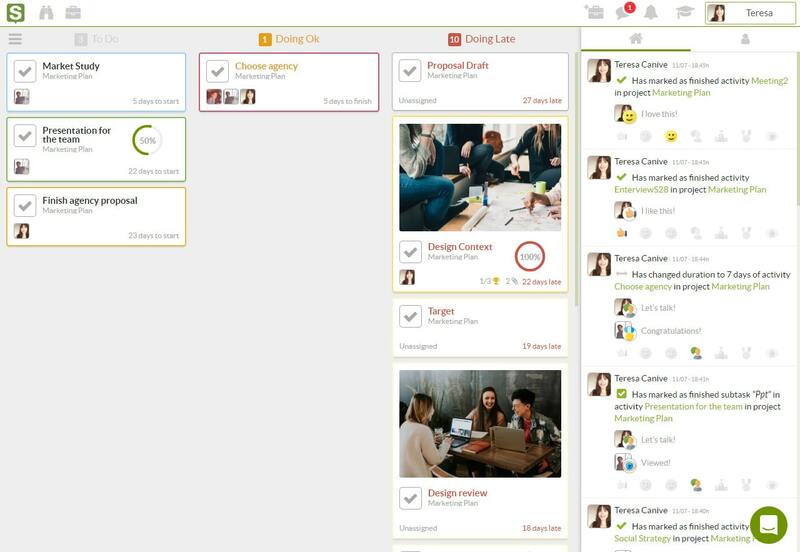 These are set up for individual team members, but the integration allows them to see what other team members have allocated allowing for discussion and work towards further collaboration in real-time. Team chat allows for instant messaging which reduces the number of emails that need to be dealt with saving time removing unnecessary administration tasks. Knowing that the information you provide is of real value and is important to the overall outcome of the project drives distributed teams to deliver so they can function as part of the overall project team, not just as a small cog in the wheel. With access to cloud-based collaboration such as Sinnaps online project management software, you can clearly define team roles and permissions giving team members the access they need to be a part of the project cycle as it progresses. Office collaboration systems and methods are able to provide real-time collaboration through effective sharing of documents and team and individual objectives. With the Sinnaps agile dashboard collaboration becomes second nature driving the project forward. The software also allows teams to work on collaborative reporting with ease. The end user is the focus so that project managers can keep an eye on the end goals. 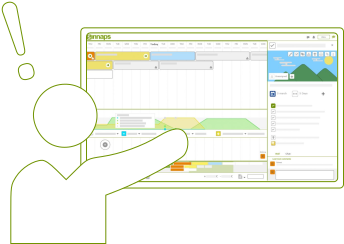 Sinnaps allows you to communicate with multiple team members working on the project, using the best collaborative strategies, no matter where team members are located. There’s no need for any additional software with the Sinnaps chat function. Chat notifications will let people know instantly when a message is waiting for them so they can action it as soon as possible. The best collaborative strategies provide the perfect way to include remote workers and break out teams or departments so they can communicate, share ideas and even discuss resources. 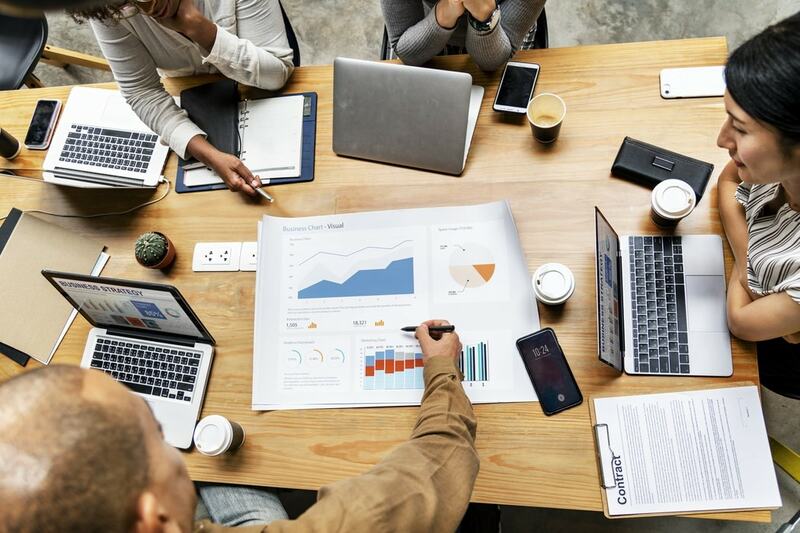 Most organizations have a more complex work environment relying on internal departments, remote workers and vendors so collaboration is key to success. Collaboration in the workplace has been proven to increase productivity and employee motivation. Using the best collaborative strategies allows for working towards common goals and provides each member of the project with equal opportunities to participate and communicate their ideas.